Thursday, February 21, 2019, 9:30 a.m. to 11:00 a.m.
Due to the limited resources and high competition in the non-profit sector, non-profit organizations need to follow strategic management steps to improve their impact, efficiency and performance. This workshop focuses on a set of scientific tools that are specifically developed for non-profit organizations. The attendees will learn how to measure and manage their strategies, including their impact at individual level, target group level, and community level. The subject matter scientific models and metrics have been applied on different non-profit organizations in Canada and proved to be applicable, simple and effective. This unique quantitative approach where strategies and impact have been measured can have significant effect on the community development efforts in Canada. Endowed Professor of Ethics, Responsibility, and Sustainability. Dr. Ömer Livvarçin holds a Ph.D. from the Management Department at the Yeditepe University, in Istanbul. He received his MBA in Defense Systems Management and his M.Eng. in Engineering Acoustics from the Naval Postgraduate School in Monterey. A retired Officer with the Turkish Naval Forces, Dr. Livvarçin currently is part-time professor with TELFER School of Management at the University of Ottawa. Besides his roles in academia, Dr. Livvarçin is Founder and Lead Consultant of Vectors Group, a consulting firm specialized in non-profit management. 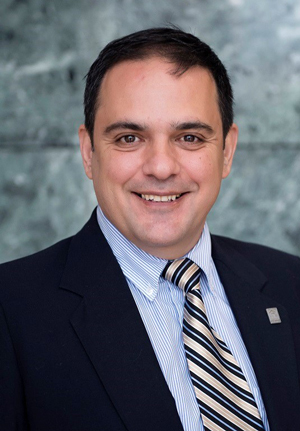 Dr. Livvarçin’s research interest include non-profit management, strategic management, change management, organizational performance, leadership and project management. He has developed and published several scientific models (i.e. Vectors Model, BEST Model, Balance Model, Project Atmosphere, Voluntary Unpaid Overtime) and metrics to increase strategic performance in public and non-profit organizations. Please contact us by February 18 if you have any particular accessibility requirements or dietary restrictions. Wednesday, February 20, 2019, 9:30 a.m.